Will I save money by operating LED grow lights at 220/240V instead of 110V? A common misunderstanding about LED grow lights is that running them at 220V or 240V will save on the power bill. Running grow lights at 220/240V will not reduce the power and will not save any money on the electric bill. Running at 220/240V will only reduce the amperage by about half, but the wattage consumed will still be the same. Ohm’s law states that V = I*R and the power formula states that P = I*V.
Therefore, doubling the voltage (V- volts) will reduce the current (I -amps) in half, but the power consumed (P -watts) will remain the same. 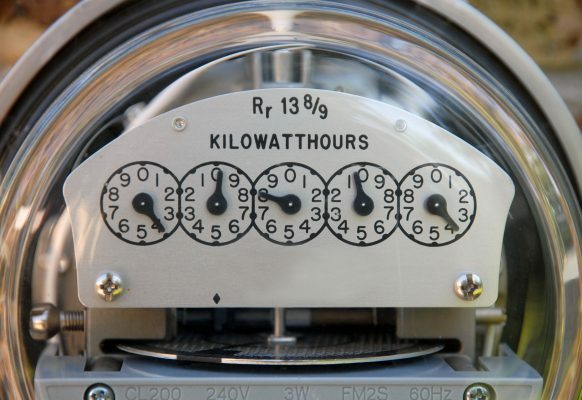 The amount of electricity consumed, measured in watts, will be the same at 110V or 220V. The utility company doesn’t charge for amperage, they charge for wattage, so there will be no savings on the power bill by running at 220V. The amount of power consumed, measured in wattage is the same in both cases – 540 Watts (0.544Kwatts) per hour. What is the advantage of running at 220V? The advantage of operating at 220V is that the amperage will be half as much, meaning you can have more devices connected to a circuit. While you will not save on electricity, using a higher voltage to operate equipment can be beneficial in some cases. One of the main reasons to use 240-volt power is because there is not enough electrical amperage available to run all the equipment at the lower voltage. A circuit is limited by circuit breakers in the electrical panel to prevent wires from overheating and starting fires. The circuit breakers regulate the amperage that can flow through the circuit, regardless of the voltage. At lower amperages, more lights can be connected in a given grow room. However, remember that your power bill is calculated by the watts consumed, not the voltage or amperage. Sales and Promotional Offers. Average 1-2 emails per month. 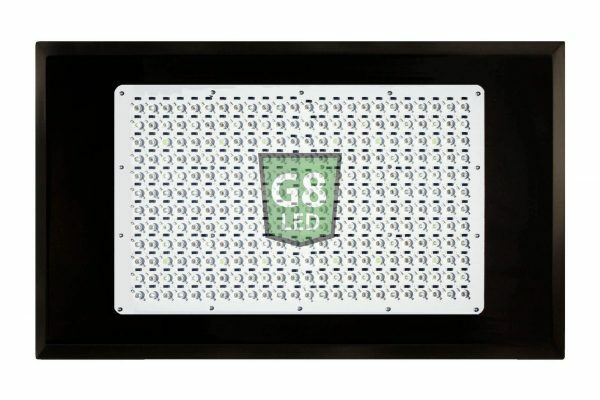 G8LED is the most premium quality LED GROW LIGHTS available. Please find below useful links for the best led grow lights.